Prehistoric worm descriped by Jakob Vinther, Yale, USA. 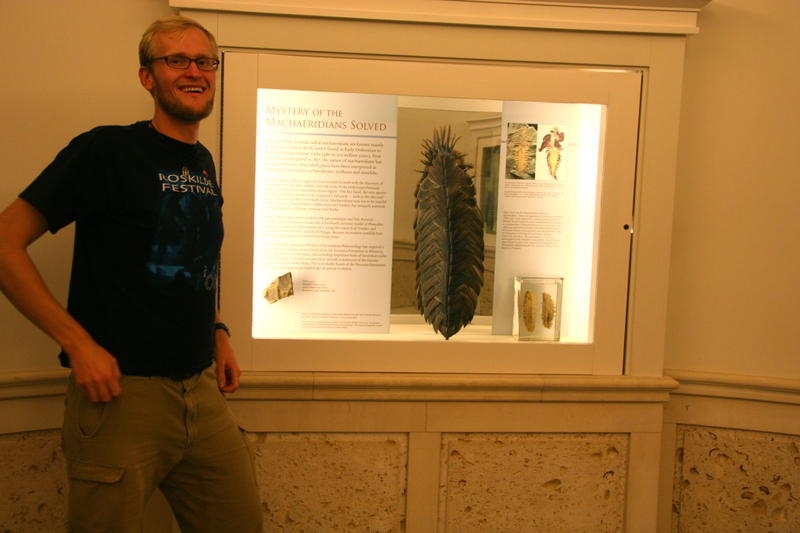 Exhibited at Peabody Museum, USA. 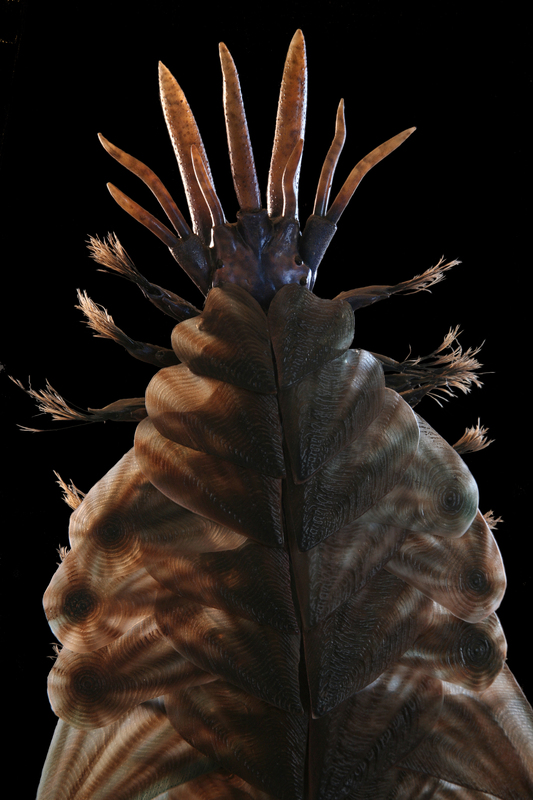 This prehistoric worm is a member of the plumulitid familiy, with all its members being extinct and armoured, segmented annelid worms, known from the Early Ordovician (Late Tremadoc) to Carboniferous. 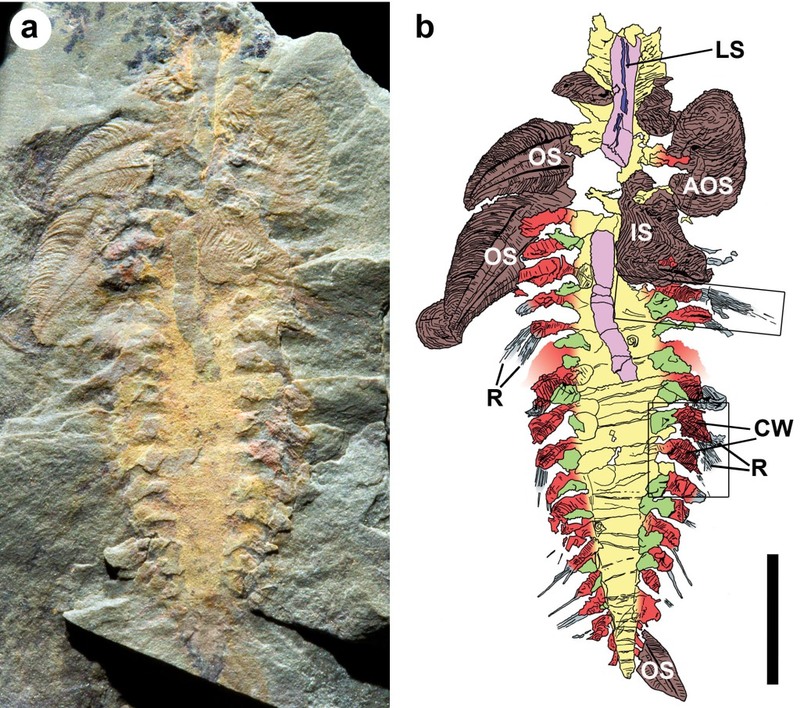 Only the calcitic sclerites ("armour plates") of these worms tend to be preserved in the fossil record. These are tiny, and usually found disarticulated: Articulated specimens reach about a centimeter in length, and are incredibly rare. They are flattened from above and looks much like the coat of mail armour of chitons, that still lives today. Like chitons, the scales of plumilits almost certainly performed a defensive role. 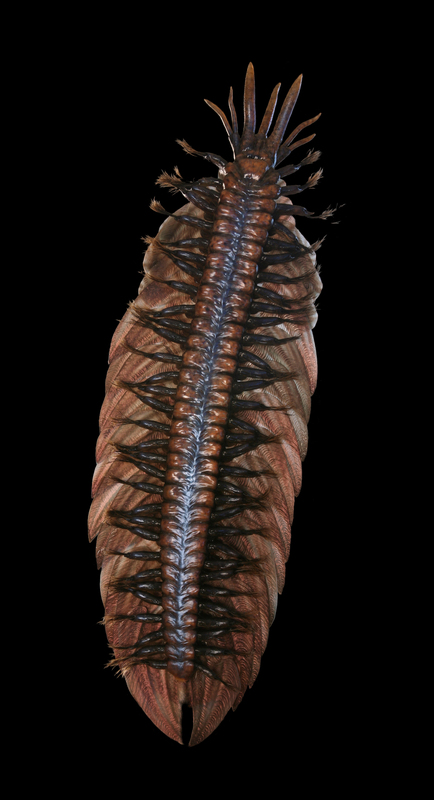 As with most armor, freedom of movement is restricted - the organisms would have had limited ability to flex to the right and left, but would have been able to roll up like isopods do. 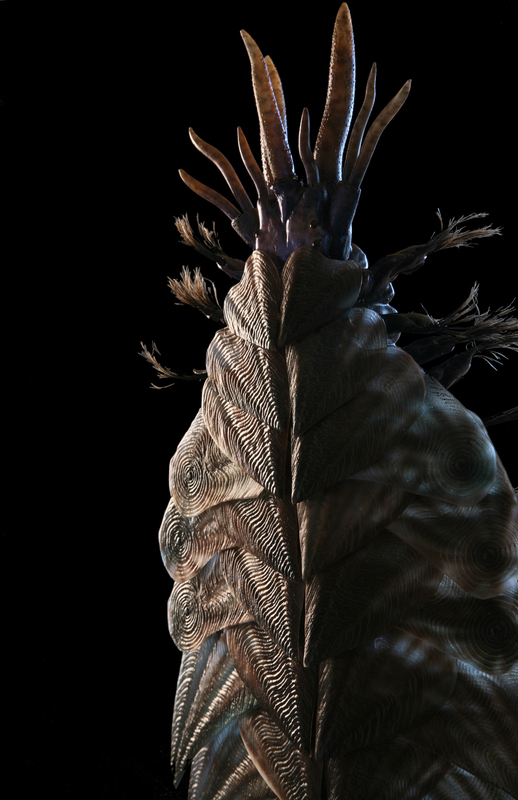 Resembling other marine annelids, they would have moved across the surface of the sea floor using its paired appendages alongside its body.